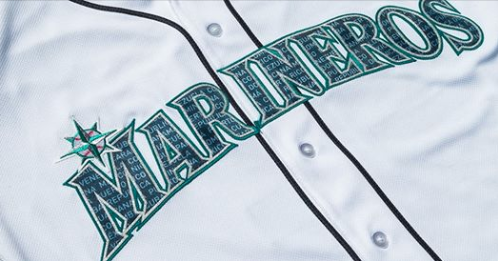 On September 8th the Mariners will wear special Salute to Latin American Béisbol uniforms. The club has named this game their Salute to Latin American Béisbol Night and the uniforms and festivities will honor the Latin American Béisbol community. The special jerseys will feature Marinero across the front with the Latin American Countries spelled out within the letters and numbers of the uniform. The Mariners have introduced multiple different looks this season including their "Turn Ahead The Clock Uniforms".